If the current trend is to try and minimise the space the new generation of TVs take up by giving them incredibly slim frames, Sony’s KD-75X9405C is the untrendiest TV of the year. It's not just content with assaulting your living room space with a vast 75in screen; this monolithic beast adds sidebars down each side of that screen, making it look more like an 85in set. There’s method to Sony’s aesthetic madness, though. Built into these left/right bars are six of the most powerful speakers the TV world has ever seen. Or rather heard. The four main mid-range and bass drivers use Sony’s Magnetic Fluid technology, and this screen proudly wears a Hi-Res Audio badge, showing it’s capable of playing back your 96kHz/24-bit music collection in formats including FLAC and WAV. Onboard DSEE HX upsampling caters for other sources. The KD-75X9405C takes its picture duties just as seriously. Its LCD panel is illuminated by LEDs arranged directly behind the screen rather than around its edges. This should deliver a superior contrast performance, especially as it’s supported by local dimming, where different clusters of the backlights can have their output controlled independently. Sony is also keen to talk up its new X1 video processor. This builds upon the success of Sony’s X-Reality Pro predecessor by offering an expanded database of different picture types – now including multiple 4K delivery formats – to streamline the processing, erm, process, to deliver more effective results. It also builds in a host of specific improvements, such as a far more precise colour engine, improved upscaling and more advanced noise handling. The KD-75X9405C also boasts an improved Triluminos wide colour gamut panel that Sony claims can deliver 98 per cent of the Digital Cinema Initiative colour spectrum. Eat that, Samsung. The brand has been busy on the Smart TV front, too. Joining last year’s homegrown ‘Discover’ menus are both YouView – complete with ‘scroll back’ electronic programme guide access to on-demand content – and the new Android TV platform. At the time of writing YouView hasn’t yet been implemented; it should make for a very welcome addition when it does turn up. I’m unconvinced by the Android system, though, which feels like a step back to an earlier, cluttered, unfocused era of Smart TV thinking. Sony’s 75in beast provides 3D using the Active system, and is going to support HDR content following a firmware update later this year. And Sony insists this support will run to HDR playback via HDMI from upcoming UHD Blu-rays. While I’d argue all day long that you don’t need a massive TV to love 4K, there’s also no doubt that it helps. And seeing it writ large – and brilliantly so – on the KD-75X9405C is an experience no movie fan could fail to fall in love with. As well as having the screen acreage to make you feel the impact of those extra millions of pixels, Sony’s processing engine and panel design are good enough to underline the detail with some gorgeously expressive and subtle colour reproduction and some of the finest handling of shadow detail and greyscale subtleties I’ve seen from an LCD screen. And the deftness of the TV's colour and greyscale handling hardly diminishes at all during predominantly dark scenes, thanks to a barnstorming contrast and black level performance. It doesn't hit the same black level depths as some OLED panels we’ve seen, but its local dimming system is good enough to leave images nice and punchy, especially when you factor in the screen’s rich colour palette, which avoids the slightly bleached look that can creep into the rival screens when you push them to reasonably high brightness levels. The 75X9405C achieves its dynamism while suffering remarkably little with backlight inconsistencies, a failing that hinders its more affordable (and ultra-slim) stablemate – the X9005C. I did spot some low-level light ‘blooming’ around bright objects during off-axis viewing, but stay reasonably in front of the set and its bright highlights seldom draw attention to the lighting mechanisms making them possible. Another great trick of this premium display is that it delivers its picture thrills more or less right out of the box, courtesy of probably the best auto-optimisation system in the TV world. The only exception to this involves the upscaling engine; while this certainly advances on Sony’s already impressive 2014 efforts, it occasionally goes a bit too far, leaving HD sources looking noisy if they were slightly noisy in the first place, such as the sequences in the desert around Budd’s caravan in Kill Bill. Fortunately, there’s a pretty easy fix for this; just drop the Resolution part of the Reality Creation upscaling circuitry to around its 35-40 level from its 65 default. There are other small issues with the 75X9405C’s pictures. The screen is a little reflective, making it worthwhile blacking your room out if you want to indulge in a serious movie session. Also, the edges of the boxes preserving the box trolls’ modesty in the film of the same name exhibit a little crosstalk ghosting in 3D mode, at least when there’s a large group in shot, and just occasionally the set’s colours can come on a little strong with the Live Colour option activated. One other potential issue when the HDR update is released is that the KD-75X9405C isn’t as bright as Samsung’s UE65JS9500, and so may not be as well equipped to deliver the full extent of HDR’s impact. But the peerless richness of its colours may prove more than ample compensation for a little lost brightness. That’s pretty much all I can come up with in the negative department – especially as this set's sound quality is beyond reproach. Its combination of raw power, huge dynamic range, epic soundstage, treble precision and thumping but never overpowering bass is so far beyond the built-in TV sound norm that it’s almost silly. Whether you’re watching or just listening to it, the 75X9405C is a sensational television – and one which feels like pretty good value considering what’s on offer. 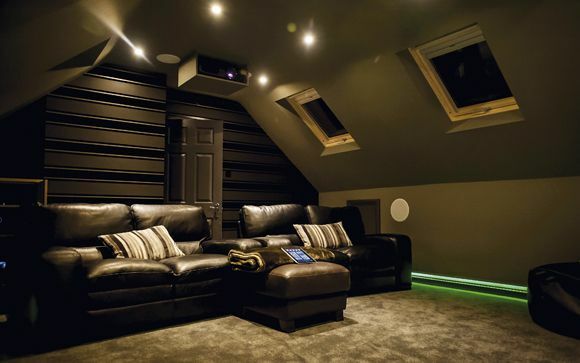 Click here to see what’s inside Home Cinema Choice 298. Samsung’s finest 4K HDR TV! Yamaha AVR has AI smarts! Explosive action films on BD!